The backbone of any shipment. Chipboard strengthens anything it’s paired with. Simply slide it into envelopes and mailers, layer it into boxes, even place it between stacked boxes themselves. Available in sheets and pads, they’re great as dividers and perfect for arts and crafts. They’re also used to create clothing boxes, gift boxes and rigid mailers in a variety of sizes and finishes. 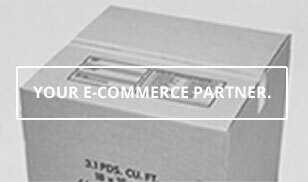 Strengthen your shipments quickly and easily with chipboard from The Packaging Company. G-8316 Chipboard Gift Boxes, Lid, Deluxe, White, 19 x 12"
G-8315 Chipboard Gift Boxes, Lid, Deluxe, White, 14 x 14"
G-8314 Chipboard Gift Boxes, Lid, Deluxe, White, 12 x 12"
G-8313 Chipboard Gift Boxes, Lid, Deluxe, White, 10 x 10"
G-8312 Chipboard Gift Boxes, Lid, Deluxe, White, 8 x 8"
G-8311 Chipboard Gift Boxes, Lid, Deluxe, White, 6 x 6"
G-8310 Chipboard Gift Boxes, Lid, Deluxe, White, 4 x 4"
D-2318 5 x 7" Chipboard Pads - 0.022" Thick, 5 x 7"
D-2315 8 x 8" Chipboard Pads - 0.022" Thick, 8 x 8"
D-2320 8 x 10" Chipboard Pads - 0.022" Thick, 8 x 10"
D-2316 8 1/2 x 11" Chipboard Pads - 0.022" Thick, 8 1/2 x 11"
D-2319 8 1/2 x 14" Chipboard Pads - 0.022" Thick, 8 1/2 x 14"
D-2323 9 x 12" Chipboard Pads - 0.022" Thick, 9 x 12"
D-2321 10 x 10" Chipboard Pads - 0.022" Thick, 10 x 10"
D-2322 11 x 14" Chipboard Pads - 0.022" Thick, 11 x 14"
D-2326 11 x 17" Chipboard Pads - 0.022" Thick, 11 x 17"
D-2324 12 x 12" Chipboard Pads - 0.022" Thick, 12 x 12"
D-2329 12 x 18" Chipboard Pads - 0.022" Thick, 12 x 18"
D-2325 12 x 24" Chipboard Pads - 0.022" Thick, 12 x 24"
D-2328 14 x 14" Chipboard Pads - 0.022" Thick, 14 x 14"
D-2327 16 x 16" Chipboard Pads - 0.022" Thick, 16 x 16"
D-2332 16 x 20" Chipboard Pads - 0.022" Thick, 16 x 20"
D-2330 18 x 18" Chipboard Pads - 0.022" Thick, 18 x 18"
D-2331 18 x 24" Chipboard Pads - 0.022" Thick, 18 x 24"
D-2333 23 x 35" Chipboard Pads - 0.022" Thick, 23 x 35"
D-2334 26 x 38" Chipboard Pads - 0.022" Thick, 26 x 38"
D-2337 48 x 48" Chipboard Pads - 0.022" Thick, 48 x 48"
D-2317 8 1/2 x 11" White Chipboard Pads - 0.022" Thick, 8 1/2 x 11"
D-2335 8 1/2 x 11" Heavy Duty Chipboard Pads - 0.030" Thick, 8 1/2 x 11"
D-2336 9 x 12" Heavy Duty Chipboard Pads - 0.030" Thick, 9 x 12"
D-2341 11 x 17" Heavy Duty Chipboard Pads - 0.030" Thick, 11 x 17"
D-2343 12 x 12" Heavy Duty Chipboard Pads - 0.030" Thick, 12 x 12"
D-2339 26 x 38" Heavy Duty Chipboard Pads - 0.030" Thick, 26 x 38"
D-2344 40 x 48" Heavy Duty Chipboard Pads - 0.030" Thick, 40 x 48"
D-2342 8 1/2 x 11" Heavy Duty Chipboard Pads - 0.050" Thick, 8 1/2 x 11"
D-2340 40 x 48" Heavy Duty Chipboard Pads - 0.050" Thick, 40 x 48"
D-2630 2 x 2 x 2" Chipboard Boxes, Gift, White, 2 x 2 x 2"
D-2675 2 x 2 x 2" Chipboard Boxes, Gift, Kraft, 2 x 2 x 2"
D-7081 2 1/2 x 1 1/2 x 7/8" Chipboard Boxes, Gift, Jewelry, White, 2 1/2 x 1 1/2 x 7/8"
D-7071 2 1/2 x 1 1/2 x 7/8" Chipboard Boxes, Gift, Jewelry, Kraft, 2 1/2 x 1 1/2 x 7/8"
D-7056 Chipboard Boxes, Gift, Jewelry, White, 2 1/2 x 1 1/2 x 7/8"
Sometimes, corrugated boxes are more than what your products need. After all, business cards don’t need a triple wall container to sit in, right? But those products still deserve protection and stability, and chipboard is the packaging material that can do that. Thanks to its sturdy fiberboard construction (and made from recycled paper), it’s a packaging supply with multiple uses. In the case of those business cards, chipboard boxes will get the job done swimmingly. They’re also used for gift boxes, apparel boxes, folding cartons for items like candy or spare parts, and plenty of other primary packaging situations where a corrugated box might be a bit much. Their usefulness doesn’t end there either, as chipboard pads are one of chipboard’s most successful forms. Just like a corrugated box might be more than what you need, a mailer envelope might not be enough of what you do. Mailers can sometimes bend or move in ways you don’t want them too, but sliding a pad in will give it the strength and rigidity it needs. If you’re packing boxes full of multiple items, pads can be layered in, adding protection and stability during shipping. And if you know your customer’s going to slice open the top of a shipment, a pad can be used just under the flaps to help protect the items inside. Chipboard boxes and pads are seriously versatile and useful packaging supplies. Businesses aren’t the only ones who’ll find chipboard pads to be useful, either. Artists have long known how well rigid fiberboard works for them, both in smaller crafts like ornaments and decorations, and in larger artwork like gallery show installations. Photographers use them to flatten and protect high-quality prints of their work during shipping, and even furniture makers sandwich multiple layers together to create interesting, stunning and fully-functional pieces. We weren’t kidding when we said it’s a versatile packaging material. You can find chipboard in its most useful forms right here at The Packaging Company.